South African citizens hope their eighth attempt to hand President Jacob Zuma a vote of no confidence will be conducted in secret, giving it a better chance of success than the first seven. Chances are looking increasingly dim. For the vote to succeed, every opposition Parliament member and 60 African National Congress (ANC) members must vote for censure; ANC members doing so would defy their leader and risk the party’s wrath. Consequently, there is a push among ANC leadership to conduct the vote in public. Their hope is that fear of reprisals will tilt the scale in their favor. Until recently, this voting process was also supported by the collective civil society. In essence, they believed a secret ballot will set a damaging precedent to the constitution and open the door to widespread parliamentary corruption. Yet, their reasons could not be more diametrically opposed and were reflected during a recent coalition of civil society meeting. In a recent story for This Is Africa, Brent Meersman wrote, “The idea behind the secret ballot on Zuma is to encourage MPs [or members of parliament] to vote according to their conscience, without the potential repercussion of being ousted from their seats. This is not an unfounded fear—voting against the ANC gets nasty.” The ANC demands lock-step support. Its leadership vows to severely punish anyone who goes against the party or its president. 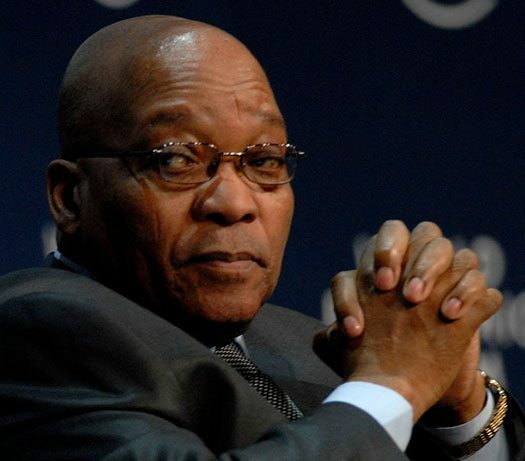 In KwaZulu-Natal, Zuma’s home province, political assassinations are rumored to be on the rise. One ANC MP, Mahkosi Khoza, refuses to jettison her principles in spite of multiple death threats and wants the vote conducted in public. She believes the constitution’s law and spirit require that, and insists her colleagues join her in casting their votes in public. Meersman wrote, “The ANC is taking disciplinary action against her—the party has made it clear that it will do so against any of its MPs who voted against Zuma,” and it wields significant power of the purse. MPs owe their livelihood to the party, as they are not voted into office, but selected by ANC leadership. Perks of South African MP positions include subsidized cars and accommodations. The way a democratic system works is on precedent. If we have the secret ballot on this issue, then what other issues will be voted on using secret ballots? If we go this route this time, we open the way for more secret ballots, more unaccountability, and more brown envelopes. Zuma has engaged in financial corruption and political shenanigans for years, from siphoning monies to pay for massive upgrades to his KwaZulu-Natal compound to working behind the scenes to remove officials who disagree with his agenda. Zuma’s behavior has caused even the Mandela Foundation to lose faith in him. His money scams deprive civil society clients of critical revenue to fund needed medical, education, economic development, and housing initiatives; some estimates show that Zuma’s profligacy costs South Africans almost 103 million rand, or almost $8 million, per year. Five Pittsburgh elected officials have conducted two rounds of interviews involving over 400 residents over the past two years, leading to a comprehensive community action plan around racial equity in business and other fields. The challenge, as always, will be in the implementation.